Pitchfork are streaming the new single from the recently solo Bloc Party frontman Kele Okereke. 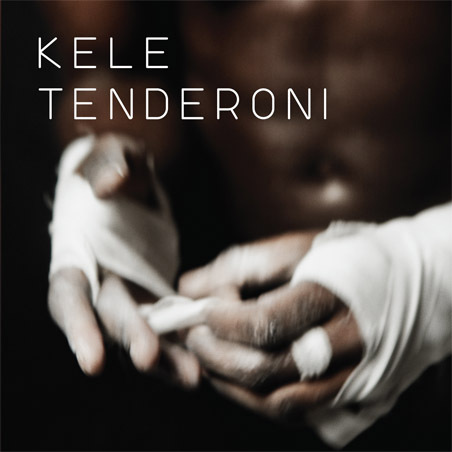 It's called Tenderoni, and sounds like a psychedelic take on Wiley's 'Wearin my Rolex', which is not a bad thing. It's also produced by the venerable Spank Rock producer XXXchange. 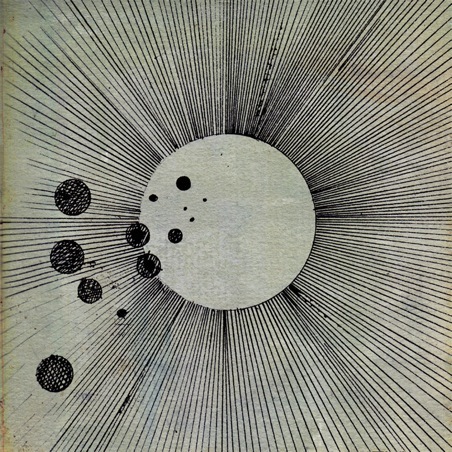 Flying Lotus, the Electronica artist who put out the critically acclaimed Los Angeles in 2008, has a new album out shortly, and it's streaming in its entirety at his myspace page . Thom Yorke from Radiohead guests. The King of the South tilts his crown and blesses another banger. Comedian Aziz Ansari (Funny People, Parks and Recreation) has an alter ego, Raaaaaaaandy (with 8 A's), and he's releasing a Hip-Hop mixtape with super producer Dave Sitek (TV on the radio, Scarlett Johannsen). But he's a bit angry, because he sent some of his favourite rappers beats to rap on, and they ain't sent the verses back yet! DJ Premier, The Beatnuts and Masta Ace to tour Australia. Now, I hear y'all either going 'DJ Premier, he's old school' or 'Who the hell is DJ Premier', and this shouldn't be all that unexpected given his relatively low profile in Oz. Who he is, is one of the greatest DJ's/Producers of all time, working with anyone who's anyone in Hip-Hop. Here's a few artists he's made songs for: Gangstarr, Nas, Notorious BIG, D'Angelo, Jay-Z, Janet Jackson, Rakim, Common, Craig David, Snoop Dogg, Black Eyed Pea's, Kanye West, Christina Aguilera, Maroon 5... I could go on all day. He and a few other Hip Hop legends are coming to town and if you love Hip-Hop in any way, shape or form, you should be there. We been hyping up the upcoming season of SYTYCD US and it's cast of former contestants, but couldn't confirm who they were going to be. Well, now we know. See the gallery in the link below for all the answers! Yes, Ade is back my friends! And both Courtney and Twitch are back also! 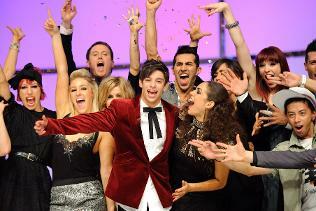 18 year old Robbie Kmetoni took home the $200,000 first prize in the finale of So you think you can Dance Australia, proving that besides being the best technician of the top 20, he was the best all around dancer. Give up to The Game, he never seems to die. After his last album L.A.X. flopped, and Dre and 50 disowned him, it looked Jaceon Taylor was done. However, he's made peace with Dre and is currently readying his new album R.E.D. (Hasn't learned anything about album titles). I don't know if this track is appearing on his new album, Pitchfork attaches it to the pre-album mixtape, but it's a good little ditty built around a Sam Cooke sample 'Shake'. That he's keeps the theme going the whole song without it sounding old is impressive. B.O.B. (aka Bobby Ray) has been burning up mixtapes and the blogosphere for some time now. His mixtapes have been fixtures of top ten lists the last couple years, and apparently he's releasing his debut album this April (you never know with these labels). Anyway, here's B.O.B. flexing his mic skills, showing off a rapid-fire, bombastic flow that will make even the haters take notice. Robyn's new album 'Body Talk Pt.1' is out next month and this awesome track below is the lead single. A few streams have hit the net over the last few weeks and they have all been solid floor-fillers. This is another level entirely. It trades in the lyrical content that made 'Be mine' a big hit all those years back, with Robyn admonishing her ex from across the dancefloor. This ain't no whiny, piny pop record though. The beat is harder and the intent is to dis and dismiss. Can't wait for the video. LCD Soundsystem's 'What is Happening' is not out until next month, but the obligatory first single is out and it's a cracker. In addition to that, the Spike Jonze co-directed video is a cracker too. KorbiTV has an interview with Season 4's Courtney who has joined the star studded season 7 roster. This season will season 10 new dancers pair up with 10 former SYTYCD performers, in what promises to be a high quality show. Hit up the allaussiehiphopblog to download the Fraksha mixtape 'Its just bars'. Track 'Next Sound Level' is pretty heavy on the bass, and deserves the props it's garnering from the Dubstep community in his local Melbourne. For more info, check out the website and support Aussie Hip Hop! Yes, the Champions for charity episode has come and gone with some pretty awesome performances. The Jabbawockeez returned to rule, the new kids Poreotix showed out, and the teams danced together! It's all below. 10 minutes of straight routines from the show! I don't usually link to blog posts, but it seems reality ravings and I were pretty close in our thoughts on the top four show from last week. Tyce Dorio confused me (and possibly himself) with non-sequitors and random complimentary words, and then the judges were convinced Robbie was a better Hip-Hop dancer than Phillipe. They were temporary mind explosion drugs for that routine. Read the reality ravings wrap-up HERE. Below is the trailer for a new doco 'Electro Wars' that seeks to document the all-encompassing Blog House scene that's erupted over the last couple of years. It's a mammoth topic to cover and the range of artists they speak to are amazingly varied (Hip-Hop, Indie, Dance), so it'll either be a extremely well-documented movie or a complete mess. At the very least it WILL be entertaining, and kudo's to the producers for trying to answer a few questions about the future of this genre and it's affect on the music scene in general. With the untimely death of DJ AM last year, Travis Barker lost both a friend and a touring partner. He and AM had been doing the festival and mixtape circuit with their unique turntable/drumming combo. Barker enjoyed the experience so much he's now teaming up with former DMC turntable champ and Kanye West affiliate DJ A-Trak. As you'll see from the footage below, they make quite a pair. 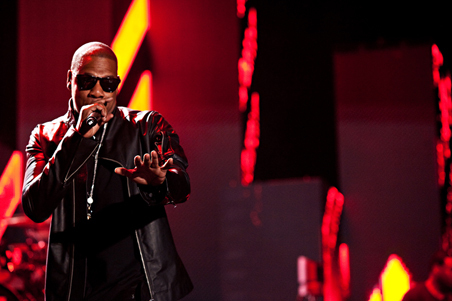 Jay-Z and a host of other awesome acts made their way to the Desert for the annual Coachella Festival. We'll keep updating with Vids over the weekend. King George Square in Central Brisbane is the place to be tomorrow as BattleCity 2010 jumps off. Queenslands best B-Boys and B-Girls will be on hand to battle it out, popping, locking and breaking to tight hip-hop and high energy funk. B Girl Demilition (aka Demi Sorono from So You Think You Can Dance) returns to Battle City on the judging panel this year alongside her equally talented brother Carlo and local legend B Boy Riot. The Philly Phanatic is the mascot for the Philadelphia Phillies baseball team in the US. He looks pretty goofy I'll admit, but it makes dancing to 'Bad Romance' just that little bit more hilarious. Everyone now and then, a special individual comes along whose raw talent and potential is so strong, it hides every other deficiency they may have. Susan Boyle overcame an unattractive face and figure by blowing people away with her voice. This young man possesses the same amazing voice, but for him, this was not enough. Taking his queue from other generation next artists like Chris Brown, taiwanese youthful reality show soprano Lin Yu-Chun wants to be a dancer. Unfortunately, like Susan Boyle's face, his moves are not pretty. For him, this is bad, for us, this is gold medal stuff. Anybody who's spent any time on this site knows that I'm a massive LCD fan, and of course it would be remiss of me not to use up some of my precious blog space to pimp their new album 'This is Happening'. Out next month, buy that sucker! 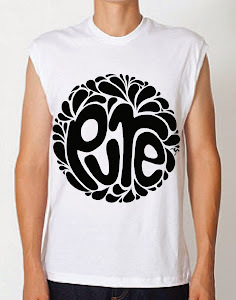 Uploaded by epb21. - Music videos, artist interviews, concerts and more. I'm not really fan of this track, but Usher has gone top ten in Australia, so I'm in a celebratory mood. Make the most of it you superstars. I can't remember seeing this before, so I'm hoping a few more peep's haven't seen it either. This a pretty slick performance for MJ, even by his own lofty standards. History is littered with sports stars who tried to make it big in the rap world, from 'Sugar' Shane Moseley to Allen Iverson, so you take any new sporting hero with a grain of salt when he says he wants to join the hip hop community. Drake's M.O. is to make sure Young Money's ship is never sinking, and from the sounds of his new single from Lil Wayne's label, he's floating that boat. The video is quite simple, but also effective. Drake is in a hotel room, lots and lots or cool effects happen around him, but he's too busy wondering what the hell he's doin! Brand new from the Jabbawockeez, who are always welcome in these pages. Video: America's Best Dance Crew - Poreotix Champions of Season 5! My personal faves came through this past week, with Poreotix taking out season 5 of America's best dance crew. With a tetris inspired routine, they obliterated the competition, no-one coming close to matching their enrgy and creativity. Looking forward to Jabbawockeez and Quest returning in the next couple weeks for performances. As a special surprise, here's their world championship video, also awesome. Dammmmnnnnn!!!!! Outkast are one of the greatest bands/duo's/artists of the last decade (or two), but most of the acclaim is usually centred on Andre 3000. Big Boi has always been the playa to Andre's poet, and their differing styles often result in a lack of recognition for the more rapcentric of the two. If the world has any taste left, this should all change on Big's new (and oft-delayed) album 'Sir Luscious Leftfoot - son of Chico Dusty. With a bunch of slamming tracks already having been released or leaked, such as 'For yo sorrows', 'Royal Flush' and the mind-blowing 'Shine Blocka's', this was already shaping up as a pretty solid album. Upon hearing 'Shutterbug', I immediately upgraded that rating to 'pretty awesome'. The track finds Big Boi very comfortably tearing through some heavy cali funk, with some vintage talkbox thrown in for good measure. If the album never comes out, I'll be happy in the knowledge that it didn't stop Big from unleashing some killer songs on us. Pole Dancing is a serious sport. If you don't believe me, check this out. H&M (the clothing store) organizes for some Hip Hop kids (proper kids) to battle it out impromptu style, in San Francisco's Union Square. I'm not a massive fan of Xtina, but she piqued my interest with her last album 'Back to Basic's', when she revealed a whole side of the album would be produced by old school hip-hop producer DJ Premier. It was a ballsy move that many of us Hip Hop fans had been hoping our favourite MC's would do, but instead, Aguilera did it, endearing herself to many new fans in the process. Her new album seems like a grab for the same dancefloor space that's been taken up by Lady Gaga and Rihanna in the last few years, with production from some of music's biggest producers. Switch, Ester Dean, Tricky Stewart, Linda Perry, Sia and Tiga are varied and are a pretty impressive bunch, but time will tell if this translates to a cohesive dancefloor smash.